32" x 32" Navajo Felt Bottom Saddle Pad. Features felt bottom, suede wear leathers, and suede leather reinforced spine. Pad is contoured to fit your horse's back. 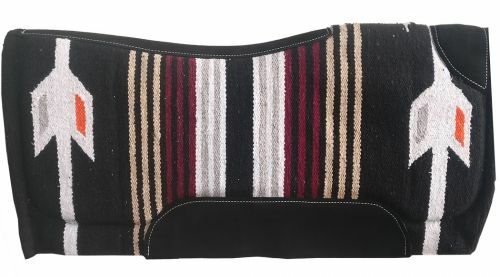 Pad is black in color with a red and tan navajo design.